I have just upgraded my personal blog to WordPress version 2.5 last few days. The upgrade was a nightmare to me. I was not because of the WordPress upgrade problem, it was the network problem in the hosting company where my blog is hosted. The upgrade took me 3 to 4 hours to finish. The FTP connection keep dropping and my FTP program keep retrying to upload the new WordPress files. After I have uploaded all the files, I tried to run the upgrade script in the wp-admin directory but it failed with empty screen. Then I realized that some of the files in the web server and the copies in local hard disk are different. I have to re-upload those files again and finally the upgrade was finally success. I only start blog again after the network at the web hosting become OK. Hopefully the hosting company can resolve the problem as soon as possible. I have a server actually but I didn’t move my blog site to my ow server is because I have paid for the hosting fees for a few years. And now I’m thinking to move my blog to my own server and use the hosting account as a backup. Cleaner, faster, less cluttered dashboard – the dashboard is cleaner and now it comes with a “Plugins” section where it shows the latest, most popular and recently updated plugins. Dashboard Widgets – you can now install a widget at your dashboard. You can install a widget that shows the statistic of your posting and comments. Multi-file upload with progress bar – this could be a good feature who upload a lot of files or images. Bonus: EXIF extraction – great for photographers. Search posts and pages – nothing special but good if you use WordPress as a CMS and create a lot of pages. Tag management – no longer require a plugin to do that. Concurrent editing protection – good for blog with multiple editors. Few-click plugin upgrades – it checks the plugin against the plugin database in WordPress.� Simply a few clicks will� upgrade the plugin automatically. Friendlier visual post editor – yes, it is friendlier. I like the “fullscreen” concept. Built-in galleries – those who takes a lot of photos will like these feature. Overall, the WordPress 2.5 is quite impressed. 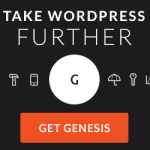 You may want to upgrade your WordPress to the newest one to experience the new features. Remember to keep a copy of old WordPress file and backup your blog database before do any upgrade.